Antarctic cruising season starts in late October and runs until about March, as these are the only months of the year when temperatures can be known to reach above 0 degrees Celsius during the day on the Antarctic Peninsula, though the East tends to be colder it is comparatively temperate. If you are planning the trip of a lifetime and you have not yet decided on exactly when you wish to travel to the world’s most astounding continent, Antarctica? Here are just some of the amazing highlights you can look forward to on your Antarctic trip, month by month. 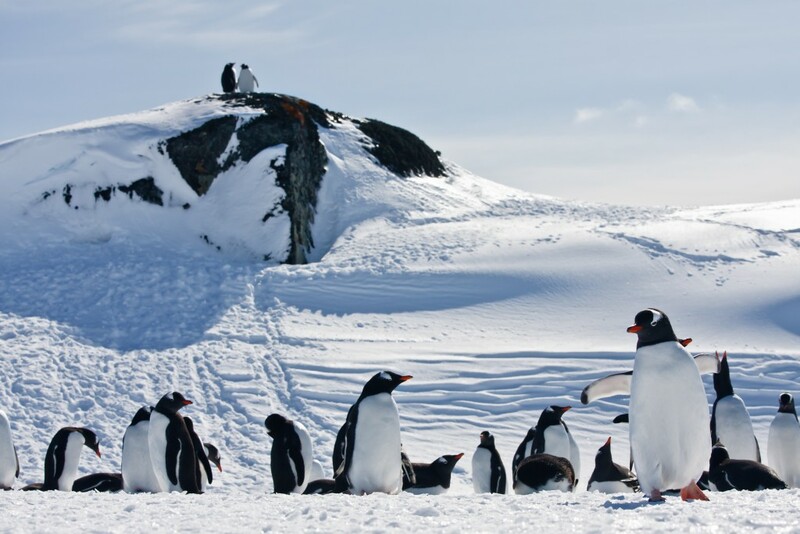 Penguins get all frisky and romantic at this time of year, and if you book your Antarctica expedition in November you may be privy to some of the most endearing courtship rituals in the animal kingdom. Dressed in their Sunday best (as always) suave male penguins strut their stuff, singing and bowing their heads in a most impressive manner. If you include a visit to one of the research stations you’ll be effusively welcomed (these poor guys have been alone for months!) and you’ll also spot the first detaching icebergs of the year. 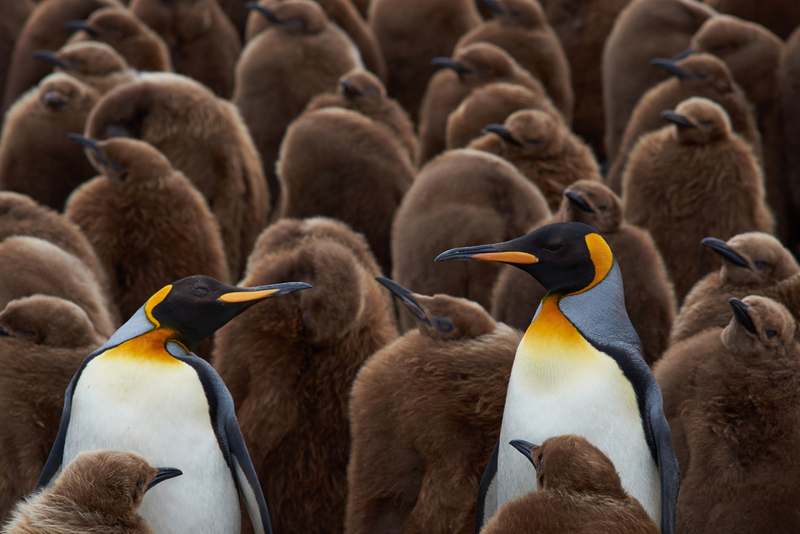 Midnight photo ops are simply spectacular in mid-November to early December, and you’ll see packs of elephant and fur seals starting to mark their breeding territories in the sub Antarctic islands. Travel at this early season and you’ll find landing areas pristine, as you’ll be among the first to set foot on the white continent for the season. If seeing dramatic ice formations is your absolute priority, then November’s definitely the month in which you should visit. December is arguably the month where Antarctica is at its most enchanting best. Summer’s in full swing and days here can be bright and sunny on occasion though still cold and crisp. One can expect to see soaring albatrosses and lazy leopard seals, basking in endless hours of daylight. With 20-odd hours of sunlight, the Antarctic world is your oyster and the opportunity for more frequent landings is higher. 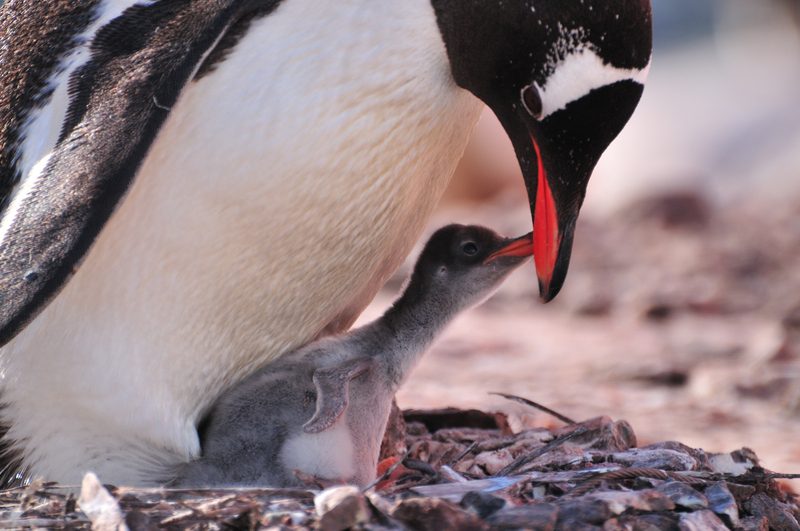 The warmest period of the year continues in Antarctica and you may spot numerous penguin chicks hatching or newly hatched and adorably fluffy! You may also be privy to seeing baby seals waddling about. With warmer temperatures, the ice begins to recede and zodiac excursions to outlying icebergs are incredibly rewarding as they are shaped and sculpted by the warmer weather. As January is part of the high tourist season, booking early is absolutely essential! Whale spotting reaches its peak this month and cruises are simply exceptional in this regard. The skies on occasion can be crystal clear, as is the ice, and the starkness and richness in colours in Antarctica make for a simply magical scenery. On the peninsula, there are now more fur seals than at any other time. As the ice recedes, you’ll be able to explore further south than at any other time of the year and encounter groups of curious penguin adolescents plus the plethora of whales are still in-situ. The days are getting shorter but if the weather permits, nights sky gazing can be hugely rewarding. The scenery is always spellbinding and breathtaking in Antarctica, so if the last month of the cruising season is the only time you have to visit, rest assured your cruise crew will do their utmost to gift you a once-in-a-lifetime experience. As autumn and winter descend upon Antarctica, the world’s most awe-inspiring continent slowly descends into a dark, windy and freezing existence. Temps can drop to -60 degree Celsius and nights can seemingly last forever. As waters start to freeze over, packed ice covers the entire periphery of the peninsula, for up to 600km! rendering this location out of bounds for tourists. Itching to discover this formidable wonder? Then check out all the incredible expeditions we can organize for you to East and West Antarctica and start planning the adventure of a lifetime! Chimu Adventures can create a tailor-made package for you. Click here for more information.